If you’re looking for concrete evidence of climate change in Alaska, here’s some: Fairbanks’ typical time between the last spring freeze and the first autumn one has increased by a full month in the past century. That fact is courtesy of Rick Thoman, a federal climatologist based in Fairbanks. For the past five years, Thoman has been something like the voice of climate change in Alaska, measuring new trends against old baselines. He retires this week after spending more than three decades with the National Weather Service, and next week he starts a new job with the Alaska Center for Climate Assessment and Policy, based at the University of Alaska Fairbanks. Some of his work will be similar to his old job, and he said he plans to keep his Twitter account as active as ever. 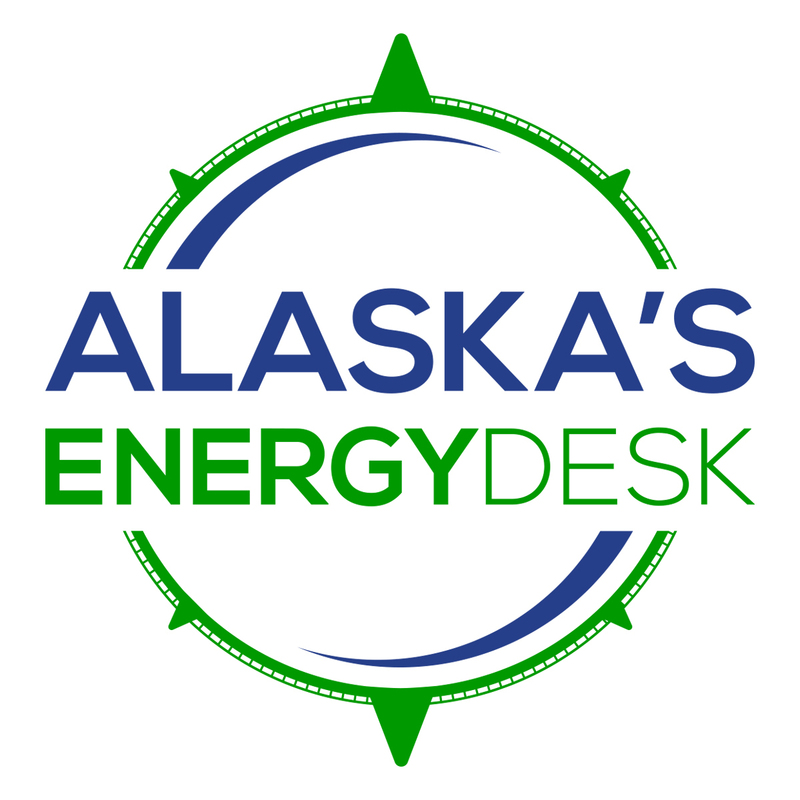 Thoman sat down Monday for an interview with Alaska’s Energy Desk. He started by talking about how personal memories of climate and weather don’t always align with the data, making it important to keep broader context in mind. HERZ: Can you talk to me a little bit more about people’s memories aligning with what the data tells us happened? Is there anything specific you can point to that helps illustrate that? THOMAN: People base their expectations on a relatively short time frame. The classic example is this summer in Anchorage. Many people thought it was unusually cool and rainy, and in fact it was significantly warmer than the multi-decade average. But it was cooler than some of our recent summers. So it’s pretty clear that people aren’t judging what’s happened this summer from the World Meteorological Organization’s 1981 to 2010 normals, which is the standard. They’re basing it on the last few years. That’s perfectly valid. The problem becomes when the last few years get projected back into, ‘Oh, that’s the way it was so this year was, in fact, cool.’ Well, in fact, in the longer term we can see that this was actually quite a mild summer, but not as mild as some of the recent years. HERZ: Are there any other interesting things you take away about how Alaskans are seeing and experiencing climate change? THOMAN: I think it would be fair to generalize and say that there are quite different perceptions of what’s happening with Alaska’s environment and climate between rural Alaska and urban Alaska. HERZ: Talk to me more about that. THOMAN: So, I think that in rural Alaska, where most of the communities are fairly strongly subsistence dependent and people are out on the land, there’s a general recognition that things are changing. And of course, when you’re doing subsistence hunting or gathering, weather and climate is just one part of the equation. How are the times that animals are available? How’s that changed? When are plants, if you’re berry picking, when are they coming ripe? Those are all part of the equation. When is the snow melting? When are rivers and lakes freezing, so you can get out in the winter time? That’s a very different experience than if you’re living in urban Anchorage or Fairbanks and your experience of the changes is driving to work. HERZ: Or skiing at Alyeska? THOMAN: Or skiing at Alyeska. Those are very different experiences. They’re equally valid but they’re quite different perceptions, potentially, than a rural subsistence-based community. HERZ: What are the things you’re most curious about, as far as trends that might continue or things that might develop in the next five, 10, 15 years? THOMAN: Particularly, changes in the seasonality of things: When does snow cover come? When does it melt off? Potentially, precipitation trends. I think those are going to become more clear over the next decade or so. Things like seasonality have big impacts beyond just mere dates. For instance, the Alaska Fire Service is spinning up operations weeks earlier now than they used to, because of a run of early snow melt. Before greenup. So, very flammable fuels. It’s already starting and will likely accelerate.